It's a long weekend in these parts (can't believe summer is ending). We love the fall, we love the rain, but we're also going to miss summer. 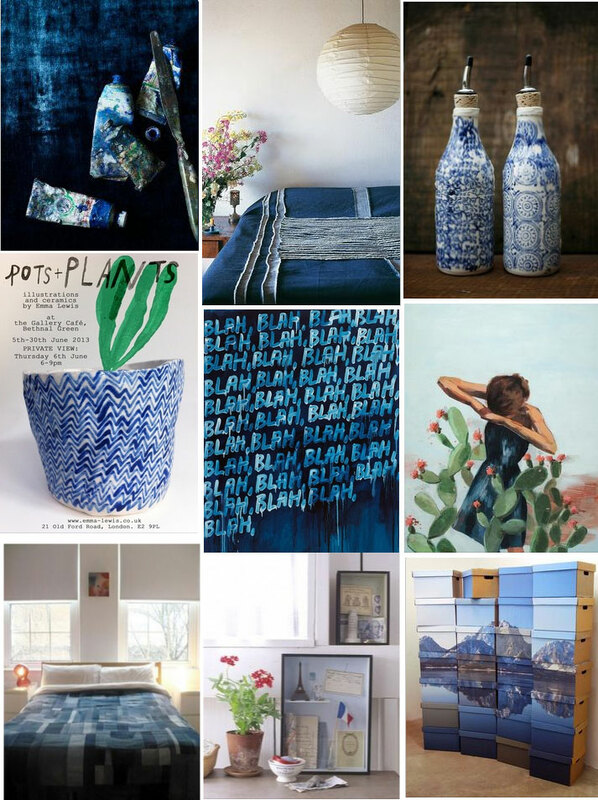 Here's a few links to leave you with - all with a blue theme. TGIF! It's funny...growing up, I never was much for the colour blue, but I just love it now and I like dressing and decorating with the relaxed hue! Wonderful recomendations!! Thanks!! Lovely pics. Those Oil and Vinegar bottles are fabulous. My grandmother would love them so much.